15,000 women workers in the needle trades take to the streets of New York City on the 51st anniversary of the 1857 protest by women garment workers. 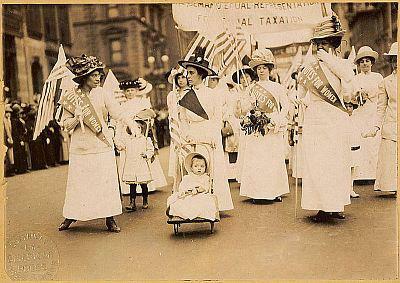 They demanded better working conditions, suffrage, and an end to child labor. March 8 has been celebrated as International Women’s Day since 1910.